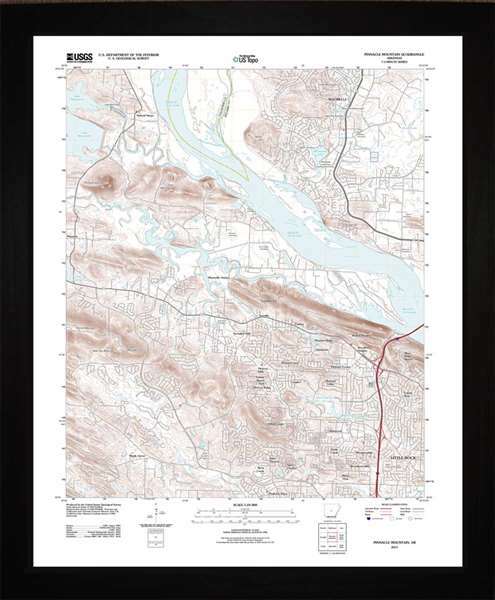 Get a custom topography map for any address with one of the 55,000 US Geological Society Quadrangle maps. Provide an address or landmark and we create a beautiful wall hanging using the latest geological survey data from the 7.5-minute quadrangle format. Enter the address or landmark in the details field provided above. We will email a proof of the map before printing. Note: this product available for US addresses only. Overall frame size is 21" x 27"
Great office art for the nature-lover, naturalist, outdoorsman, or hiker. Makes a hiker office art, climber office art, or outdoorsman office art!